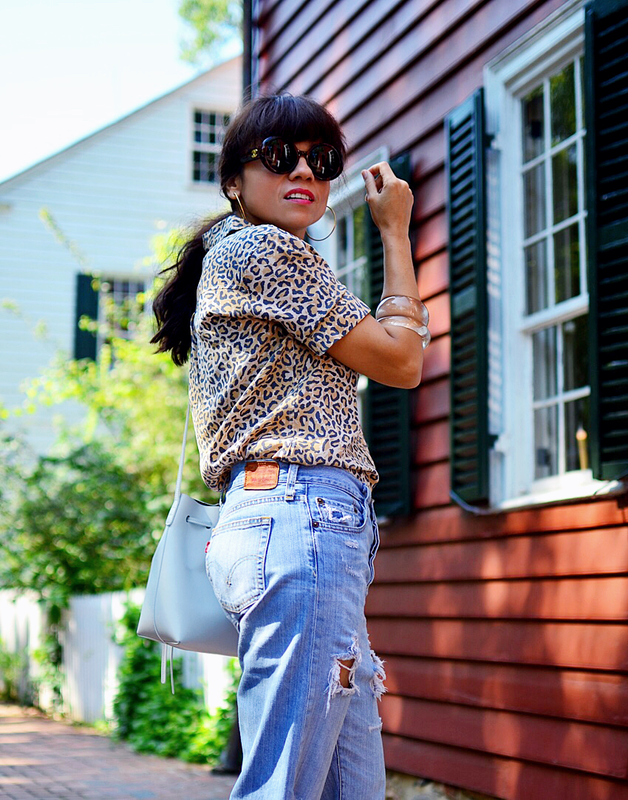 I wouldn't consider myself a professional at shopping for vintage Levi's, however, I've learned by trial and error a few tips on how to score the right pieces for me. Unfortunately for cyber shoppers, the most reliable way to shop for vintage, in general, is by actually going to the store and trying on the garments. 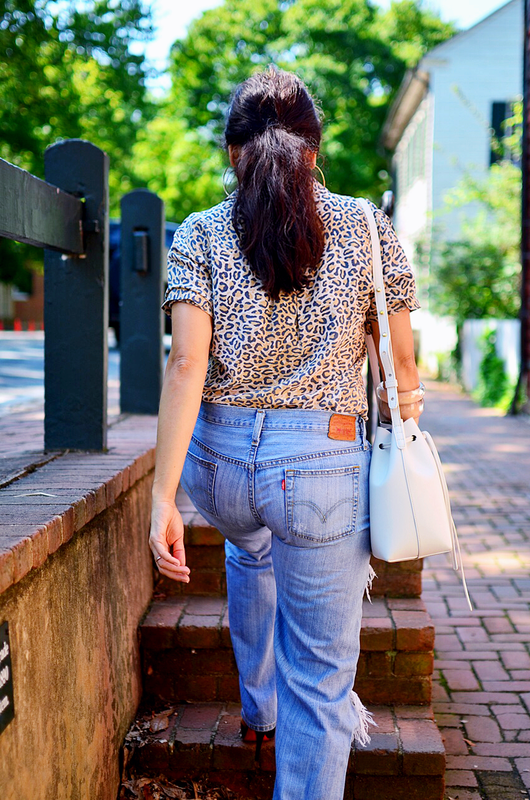 I understand that not everyone has the time or the stores nearby to shop personally for vintage denim jeans, but this can be dangerous because you might end up disappointed by receiving jeans that did not meet your expectations. 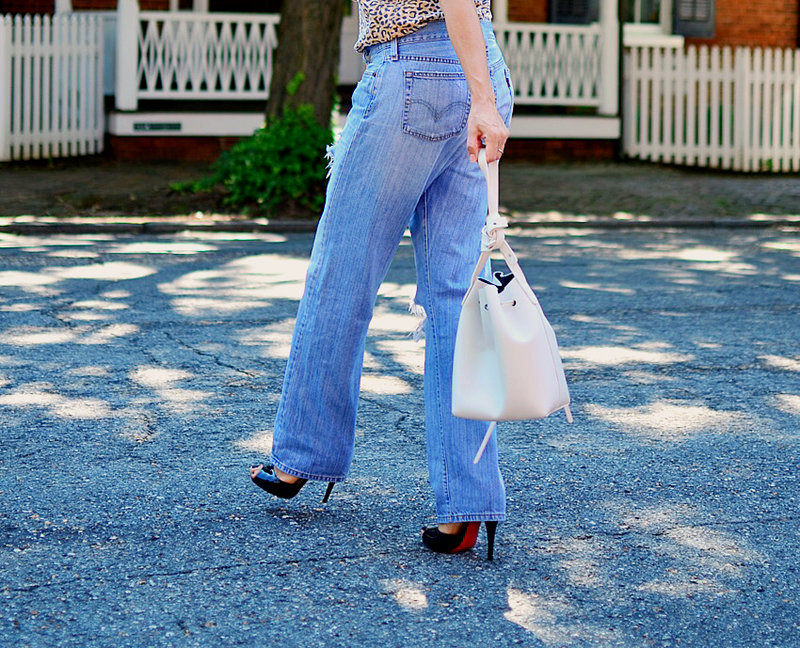 And as most of you know, the mayority of vintage purchases aren't returnable and jeans are not the exception. Today I'm wearing one of my favorite jeans by Levi's, and they're the famous 501's, but vintage. 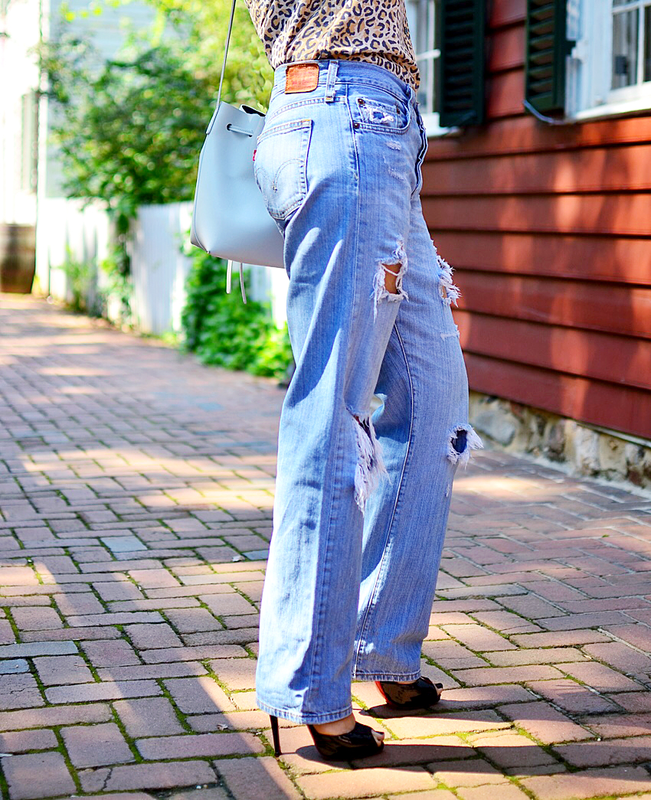 I love vintage jeans in general, because they are more flattering, their quality is superb and they can easily be customized. Vintage jeans sizing can run significantly smaller than contemporary sizings, therefore this is something that we have to take into consideration when shopping online. Most real vintage jeans are men's jeans, therefore when buying Levi's brand and especially the "holy grail" 501 jeans, never shop based on the numbers showing on the label. You need to pay attention to the actual measurements given by the seller. If they fail to provide this info in the description, then request it. This information will save you from an utter disappointment. I usually go up to 2 sizes from my regular waist, and if I want a boyfriend fit and lower on the hips (like the one I'm wearing) then I size up three to four sizes. 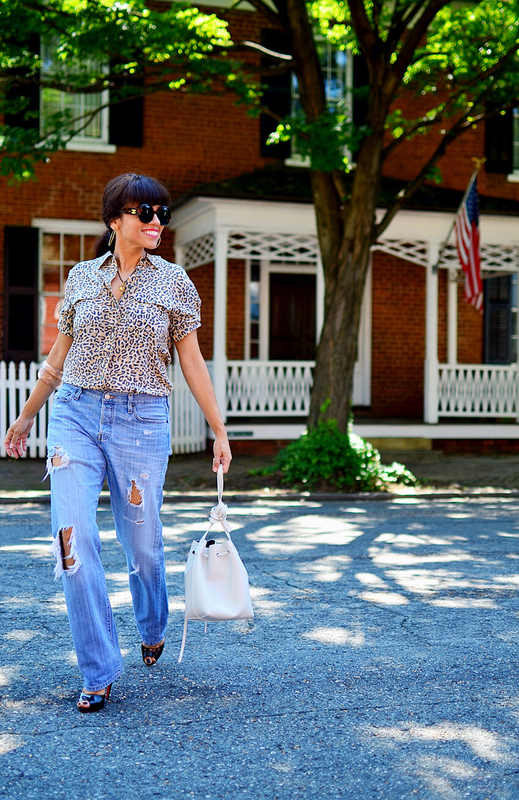 Something to remember is that the fit of vintage jeans changes depending on the decade that they were made. The older the pair, the higher the waist. The 501's and 505's Levi's vintage jeans are always in great demand, and simply because they have a great fit and can be worn by different body types. They are pretty much the same jean, with the difference that the 501 has a button fly and the 505 a zipper fly. For some reason, I find the 505 being more flattering for girls with less curves, whereas the 501 is a tad roomier, therefore more flattering for curvier gals. As contemporary jeans, the length or inseam of vintage Levi's jeans is pretty accurate when they were new. 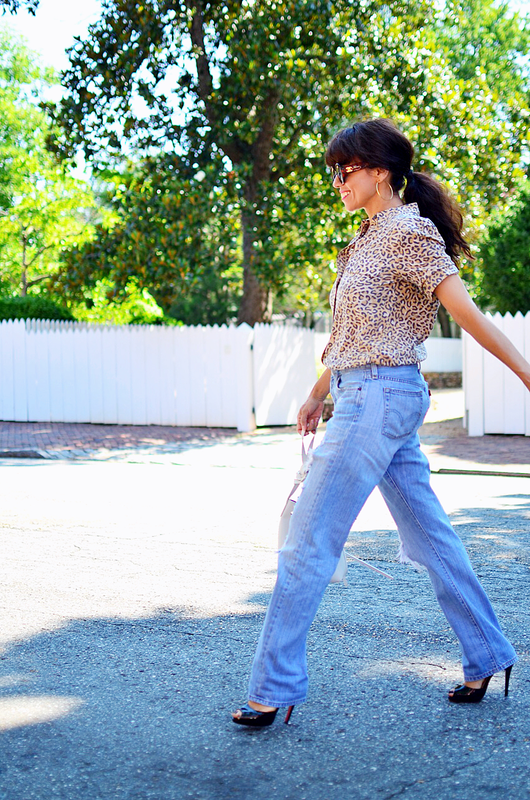 Obviously, most vintage jeans aren't new. Therefore you should expect a shrinkage on their inseam. I usually find a difference from a half inch to one inch. That's why it's very critical to ignore the numbers on the tags and go by the actual measurements. I found out the hard way that many vintage jeans have been customized by previous owners or store owners. Don't be surprised finding a pair of 501 or 505 jeans with a straight leg cut and another with a tapered leg. To me, the straighter the leg of the jean is (501 mainly), the more valuable it becomes and simply because they flatter the best. The wash of a vintage jean is also a very crucial factor. I tend to love the medium to lighter washes or with worn-out details, because, usually that's a sign of a lot of wear. This is actually one of the main reasons why we love vintage jeans in the first place because the unique wear and tear is impossible to recreate. If you noticed, the jeans I'm wearing today are so worn out, but I love them this way. With jeans like these, you have to be careful how you treat them, because you really don't to get those holes any bigger. I have a few pair of vintage jeans and jackets, and most of them have come from Ebay or local vintage malls. You can try thrift stores, Etsy or small vintage stores. When I shop online, I personally like Ebay, because many times I find valuable information about the jeans. Several sellers on Ebay are vintage specialists, and they will offer complete details of the jeans, from sizing tips to what decade the jeans were made. 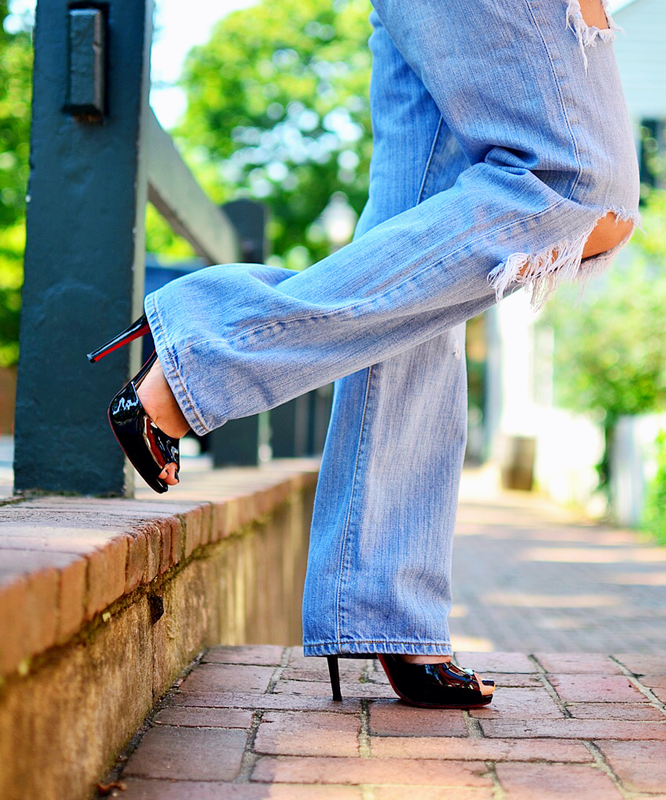 How much is too much when buying vintage jeans? Well, in my opinion, it all depends on how old they are. The older the rarer, therefore, the higher in price. I've seen 1970's jeans going for over $500 dollars, but you better have all the facts straight about those jeans if you ever decide to pay that price. I personally I've not paid more than $60.00 for a pair of vintage jeans and that seemed to be a lot at the time. 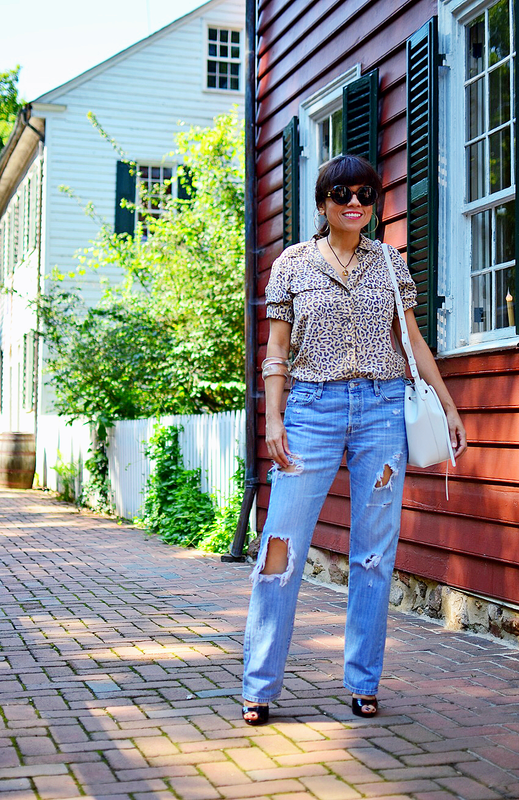 Well, my dear readers, these are my most important tips when buying vintage Levi's jeans. If you know of any other tips, please don't hesitate to share with us in the comments area. Please remember, when shopping for vintage jeans, information is power. Shirt: Equipment (new in)/ Jeans: Levi's 501(vintage). This is the modern version. Heels: Christian Louboutin. Similar/Bag: Mansur Gavriel/Sunglasses: Chanel (vintage). Similar/Bracelets: Vintage/Earrings: Michael Kors.